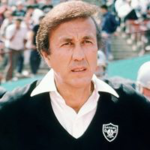 After a trailblazing pro football career that includes four Super Bowl victories (two as the head coach of the Raiders), Tom Flores may add another accolade Saturday: Pro Football Hall of Famer. The Pro Football Hall of Fame will announce this year’s enshrinees Saturday, the day before the 53rd Super Bowl. The Hall of Fame Selection Committee will elect at least four, but no more than five, of the 15 modern-era finalists. 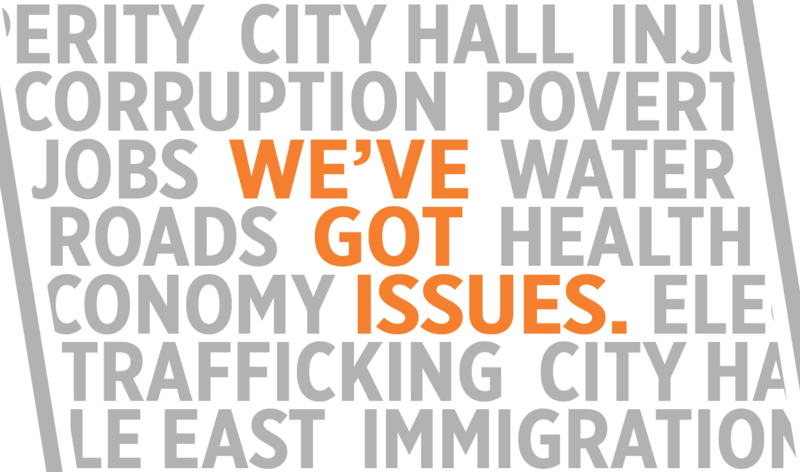 Each has to receive at least 80 percent support from the voters. “I try not to think about it, but I have a lot of free time, so I think about it,” Flores told The Athletic. Residents in Flores’s hometown of Sanger are hopeful that this is his time. So are many of the Raiders he coached — a list that includes 10 Hall of Fame inductees. ESPN’s Paul Gutierrez writes, “Are we talking about being a winner, or being a trailblazer? Can you tell the history of a purported inclusive NFL without mentioning Flores? Coach Tom Flores is finally a finalist for the Pro Football Hall of Fame! It has been a long time coming. Flores, who is 82, has been eligible for Hall of Fame induction for 20 years. His name is synonymous with Super Bowl success. Only he and Hall of Famer Mike Ditka have won Super Bowls as a player, assistant coach, and head coach. Flores accomplished the feat this way: (Super Bowl IV as the backup quarterback for the Kansas City Chiefs, Super Bowl XI as an assistant coach of the Oakland Raiders, and Super Bowl XV and Super Bowl XVIII as head coach of the Raiders). According to Hall of Fame rules, however, the 48-person selection committee is only supposed to consider his coaching achievements. In the past, it has been held against Flores that his overall coaching record was 97-87 — not including his exceptional 8-3 postseason record. Flores is recognized for being the first Hispanic starting quarterback in NFL history. He is also the first minority head coach in professional football history to win a Super Bowl. Flores left the Raiders after the 1987 season to become president/general manager of the Seattle Seahawks and also coached the team for three seasons. He then went into broadcasting, serving as an analyst for the Raiders Radio Network from 1997 to 2018. Aside from his football career, Flores has been actively involved in the Sanger community. He heads the Tom Flores Youth Foundation, which benefits elementary and middle school kids in the Sanger Unified School District. The foundation has donated nearly $2 million since its inception in 2004. Flores also holds an annual Raider Nation Blood Drive in Sanger, which provides blood for area hospitals. Flores’s efforts have earned him an honorary doctorate degree from Pepperdine University for humanitarian service. After high school, Flores played two seasons at Fresno City College and then earned an academic scholarship to College of the Pacific in Stockton. In 1956, he led the NCAA in passer rating. Following graduation, it took him two years to land a job as a professional quarterback. But he signed on with the Oakland Raiders in the start-up American Football League in 1960 and became the team’s starting signal-caller. He played in the AFL all 10 seasons before it merged with the NFL, and finished his career as the AFL’s fifth all-time leading passer. Flores is a member of the Fresno County Athletic Hall of Fame, Bay Area Sports Hall of Fame, California Sports Hall of Fame, and the California Community College Athletic Association Hall of Fame. In July 2011, Flores received the distinguished Roberto Clemente Award for Sports Excellence. A look at the Pro Football Hall of Fame finalists is at this link.